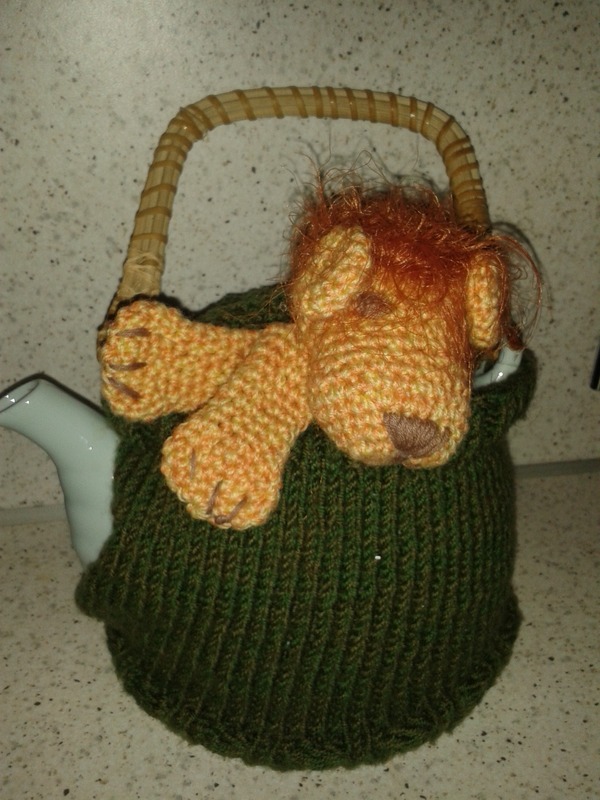 My daddy has asked me for a New Year gift – a cozy for his teapot. 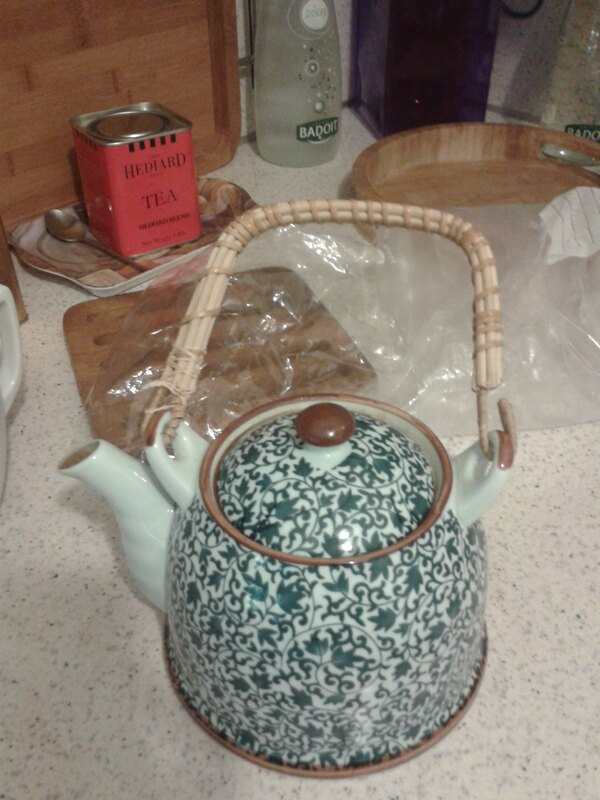 It took me a long time to figure out what I wanted to do: especially because his teapot is not shaped in a traditional way, so there were no readily available patterns. My dad’s name translates as Lion. He’s a Leo by horoscope, so I’d make him a similar one, but with a lion. Using two shades of green held together for the body of the cozy. Practical colour, and a prefect match for a lion. I was very scared that the hat wouldn’t fit, as I couldn’t try it on while making it, but I guess years of practice do give me a feel for sizing. It’s a rectangle that I sew up for about 2 cm from the bottom and top, leaving the opening for the nozzle. I then picked up stitches along the top edge to create the flap covering the lid. It has buttonholes, with buttons on the opposite side of the cozy to keep it in place. I used Leo the Lion pattern by Lion Brand for the head and paws. I have to admit, that I just love the end result, it’s the best piece I’ve made in months, I think. Separator image Posted in My kniting & crochet and tagged with cozy, lion, teapot cozy.